RogerBlazic.com: Is The United States Criminal Justice System Racist? Is The United States Criminal Justice System Racist? Is the U.S. criminal justice system racist? On Wednesday, September 21, 2011 at 11:08 pm, Troy Anthony Davis was pronounced dead from a lethal injection, completing his sentence of death for the murder of an off-duty police officer in 1989. Ironically, Davis' death certificate will read, Cause of Death: HOMICIDE. The state and medical examiner admit they committed murder. But was there too much doubt to send Davis to his death? As Amnesty International, religious and political leaders took their turn at the microphones held firmly by the media, the question kept coming up, "Is the United States Criminal Justice System Racist?" Determining the answer to that question is much more complex than the simple answer Reverend Al Sharpton offered, "In Georgia, over 50% of the inmates on death row are black, when we only make up 15% of the population." He stated two facts, but do they tell a story? Comments were made regarding the Davis execution that, "This is a holdover from the old Jim Crow laws." If we take a look at death row inmates in the 34 states that have the death penalty, Pennsylvania has the highest racial disparity of its death row inmates. Out of the 219 inmates on death row, as of September 23, 2011, 133 (60.7%) are black, 67 (30.5%) are white, 17 (7.7%) are Latino and 2 (0.9%) are Asian. Pennsylvania is a long way from Dixie. Five other states have more blacks than whites on death row: Georgia, Louisiana, Mississippi, North Carolina and Ohio. Alabama had nearly triple the amount of whites on death row as blacks. So, 29 states have more whites on death row than blacks. Since the death penalty was reinstated in 1976, 255 black people have been executed for killing whites, while only 17 white people have been executed for killing blacks. I could not come up with a total number of murders to draw a conclusion. Even though support for the death penalty has slowly declined since 1976, we are still a death penalty county, with 64% of adults supporting capital punishment. Currently, we have 1.6 million people incarcerated in the United States - 1% of all adults are behind bars. Blacks make up 34.5% of our prison population. That represents 4% of all blacks, while only 1.7% of Latinos and 0.7% of whites are behind bars. On the surface, that may look like the system is unfairly skewed. Census data shows that the average annual household income is roughly $56,000 per year. If you break it down by race, whites have a household income of $113,000 per year, Latinos $5,600 and blacks $5,300. There is something to chew on. Crime is much more prevalent in lower income neighborhoods. It's how many people survive their lot in life. Low income areas have higher incidences of drug usage, which also sends more people to prison than ever before. If you make a conclusion that low income leads to crime, there should be 20 times the number of black people in prison and on death row as white people, based on the income differential. In 1986 Ronald Reagan launched the war on drugs. More than 50% of our prisoner population is there for drug charges. In fact, the United States locks up more people than any country in the world. We incarcerate 1,000 people out of every 100,000. Russia, which is the closest country to us only locks up 629 people per 1,000. Part of the reason our incarceration rates are so high is that drug sentences are much longer here than in most countries of the world. In the U.S., sentences of 5 or 10 years for drug offenses are handed out routinely, while in other parts of the world a similar crime may only get a six month sentence. The biggest problem with Troy Anthony Davis' execution was that there was too much doubt. Hopefully, he will become the poster boy for abolition of the death penalty. We know innocent people have been forced to die in our prison death houses more than just a few times. And what does death serve? Revenge? Closure? In many studies the victim's families still did not feel closure after the killer was pronounced dead. In a day and age where everyone is trying to cut costs, the death penalty is a massive drain on our state budgets. A California study said that their death penalty system costs the state $137 million per year. If they switched to a life without parole option, the cost would drop to $11.5 million per year. Housing drug offenders for long periods is also putting a strain on the system. 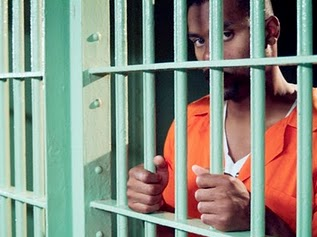 Michigan projects their total prison costs to exceed $2 Billion in 2011. In total, there are 7.3 million people who are "in the system" in the United States - either in prison, in jail, on parole or on probation. By reducing the number of harsh drug sentences and eliminating the death penalty, the nationwide savings would put a huge dent in the $60 billion it costs the U.S. to run it's criminal justice system. But we really need to attack the causes - poverty and poor education. A misnomer at that there are high high school dropout rates. Students dropping out of school has steadily declined since 1980. Where the black dropout rate was 19.6% it has fallen to 9.2%, which still leads all races - the average including all races is 8.1%. The big problem with our inner cities is lack of economic opportunity. Teen and young black unemployment is over 50%. To survive, the street games of drugs, prostitution, theft, larceny and assault flourish. No government program can fix this. What it will take, in my opinion, is for black entrepreneurs to become more involved in the black communities. Start mentorship programs for high school and college student. Have all-black businesses. Minorities can get away with that, so do it. Several years ago, I was fired by a client because I was not Chinese. I asked the woman, "I'm the wrong color, right?" There wouldn't be an ACLU lawyer in the world that would take that case on. So, for blacks, Latinos, Asians, take care of your own. The Jews did it when they were outcasts, the Italians did it when people didn't trust them, the Irish did it when they were hated by other immigrants. People of influence in the black community and other minority communities need to step up and start building pathways to a better black community. If we've been able to cut the rate of drop outs and cut the murder rate - which peaked in 1990 - then we are headed in the right direction. The skies are not cloudy all day. If a kid will stay in school, we as a society owe them a pathway to a better life. In a recession, when even highly qualified workers are struggling to find work, that is a lot to ask. However, we need to build toward the future. Take our youth and prepare them for the job market. Prepare them and teach them entrepreneurship. Create black kids with opportunities that are more than movie stars, athletes or rap moguls. To change the numbers in prison and on death row, you have to attack the cause. Yes, I'm sure there are juries who put away black men and women because they are black. When you are from a low income family and you have to rely on the public defenders office, you might as well get fitted for your prison uniform and pick out a cell. The system is skewed heavily against the accused - poor - black, white or whatever. The days are gone of all white juries deciding the fate of a hapless black man. So, to call the system racist is basing it on statistics that do not tell the whole story. Is the criminal justice system in the United States racist? In some cases absolutely, but overall, no. Tory Davis was a man, who happened to be black, who happened to be Muslim, who happened to be a good role model for his nephew and was a good brother to his sister. Now all of that ended because the system would not stop. The system needed revenge. There was too much doubt. If there was no death penalty, we wouldn't be having this discussion. Does It Matter That Condemned Man Troy Davis Was Black?